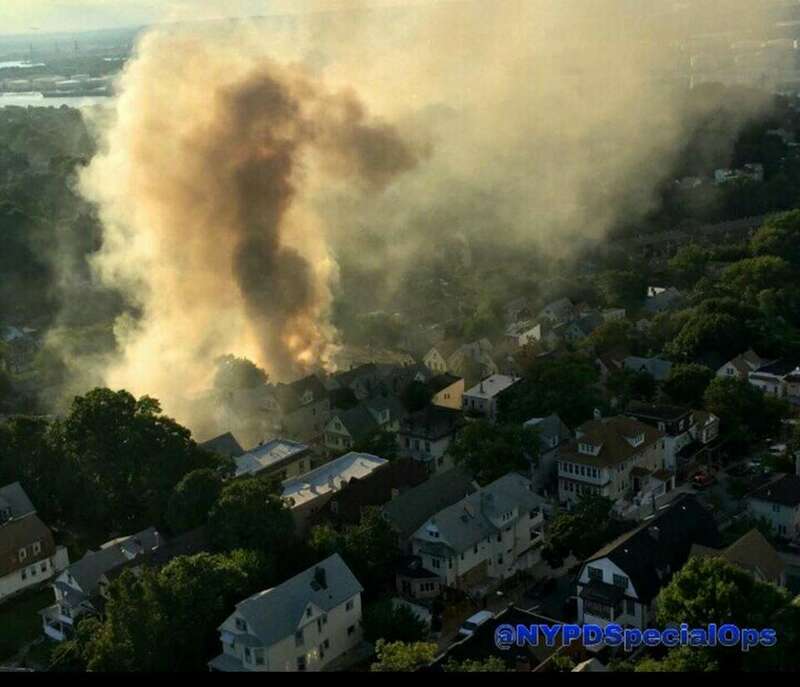 A fire in St. George on Staten Island injured 20 firefighters, hurt three civilians and displaced dozens of residents when it broke out on Aug. 18, 2016, officials said. About 250 firefighters responded to the scene, spending three hours getting the fire under control, the FDNY said. See pictures from the scene below. A six-alarm fire broke out in St. George, Staten Island, on Aug. 18, 2016, displacing dozens of residents. More than 250 firefighters and NYPD's aviation unit worked to get the six-alarm St. George fire under control on Aug. 18, 2016. The fire broke out at a home on Benziger Avenue in St. George on Staten Island Aug. 18, 2016. Seven houses were affected, including two adjacent homes that suffered fire damage, the FDNY said. The Red Cross was at the scene of a fire that displaced dozens of St. George residents on Staten Island on Aug. 18, 2016.